MEMPHIS – A rare home-home back to back for the Memphis Grizzlies means the Thunder was already in town while their upcoming opponent was hard at work on their home floor. In addition to the opportunity that presented itself to get an early look at the Grizzlies, the Thunder had the chance to get rested up after their long 72 hours spent traveling to Mexico City, through the traffic of the metropolis with a population of 22 million and back to Memphis. The Thunder comes in with a focus on itself, knowing that it needs to get back to the type of basketball that helped propel a three-game win streak at Chesapeake Energy Arena. Head Coach Billy Donovan’s club has now lost 8 straight games on the road, an issue the team wants to remedy tonight by playing with toughness, intensity, focus and resolve for 48 minutes. The key for the Thunder to ensure this one doesn’t come down to crunch time, where anything can happen, is to play with a determined and intentional approach on the offensive end for all four quarters. Pushing the pace in transition after stops can help the offense get some easy rhythm. The Grizzlies gave up 41 fast break points to the Toronto Raptors in last night’s opening tilt of the home-home set, so there is certainly an opportunity to attack some leaky transition defense. But once the Thunder is in the halfcourt, it must be committed to getting downhill on every possession. Using screen and roll actions with Russell Westbrook and Steven Adams can help carve those parallel paths into the paint, but once the ball is swung to the wing, the Thunder coaching staff is looking for players to have designs on putting their heads down and driving to the rim. Even if they get stopped on the drive, aggressive attacks by the Thunder will likely force help defenders over, which can produce passing lanes for catch-and-shoot jumpers or driving angles for the next push to the rim. On the defensive end, the Thunder needs to be aware of the passing and playmaking that Marc Gasol can produce possession after possession. Being aware of ball and man will be crucial to avoid getting beat on backdoor passes or high-to-low action. On the perimeter, tracking Tyreke Evans on high screens and in catch and shoot situations will be important, as the Thunder tries to get stops on demand, then get out and run. 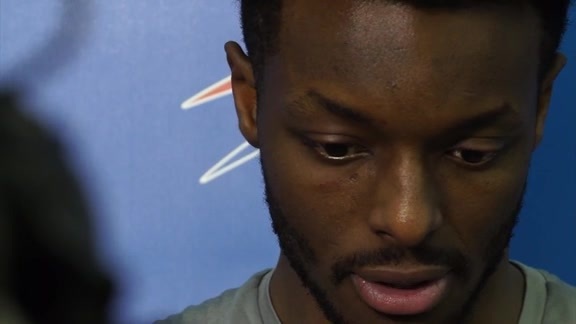 -	It remains to be seen whether Paul George and Jerami Grant will play tonight. They both are doing better than they were in Mexico City, but it will be a game time decision whether or not they’ll play. 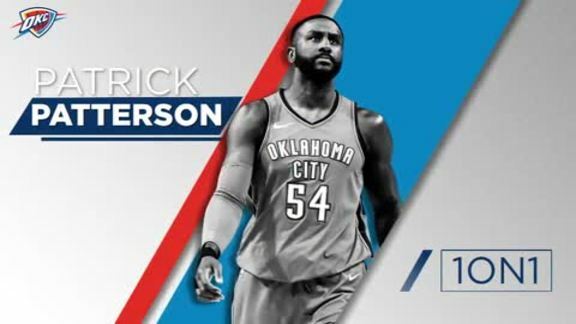 -	A positive sign for the Thunder over the past week or so has been the movement and activity the team has gotten out of veteran forward Patrick Patterson. After missing almost all of the preseason with injury, Patterson seems to be returning to form, and against Brooklyn showed off his ability to put the ball on the floor, attack the rim and pass it. He’ll be an integral piece for the team moving forward. -	A player who might get some more chances is Kyle Singler, who despite not getting much live game action to start the season played with aggression and tenacity on both sides of the ball against Brooklyn. He racked up nine points, attacked the paint and gave the Thunder some verve during his stints on the floor.